This audiobook was designed to help shed light on what being an empath is and how you can become one yourself. 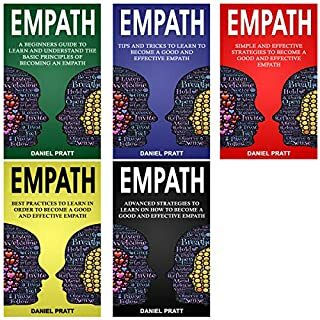 You will learn about how you might be affected by your empathic abilities, as well as how you can identify the ones that already exist within yourself, whether you have been aware of it until now or not. Wonderful book! This kept my interest from beginning to end. Would love to see more from this author. 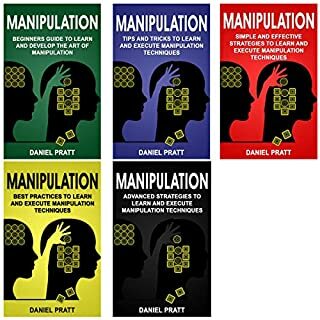 Manipulation: 5 Books in 1- Bible of 5 Manuscripts in 1- Beginner's Guide+ Tips and Tricks+ Simple and Effective Strategies+ Best Practices to Learn Manipulation Techniques+ Advanced Strategies. Manipulation is a powerful strategy that allows you to bypass negotiations and objections and get anything you want with minimal timing and minimal effort. As long as you understand how manipulation works and what skills are required, getting your way with virtually everything is effortless. Honest manipulation is a practice that is used all over the world, every day, by virtually everyone. In many cases, people aren’t even aware that they are using it. By harnessing the power of this skill and using it intentionally, you can easily advance yourself to anywhere you want to get to. 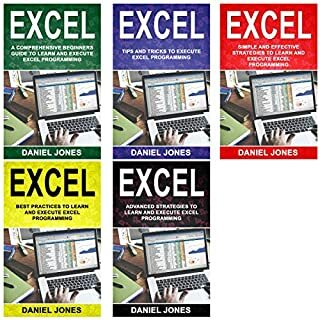 Excel: 5 Books in 1- Bible of 5 Manuscripts in 1-Beginner's Guide+ Tips and Tricks+ Simple and Effective Strategies+ Best Practices to Learn Excel Programming Efficiently+ Advanced Strategies. Excel is a tool whose prevalence is only matched by how little most people actually know about it. If you use Excel on a regular basis, even it is only for seemingly basic tasks, there are likely dozens of ways you can streamline the process, saving yourself countless hours in the process. 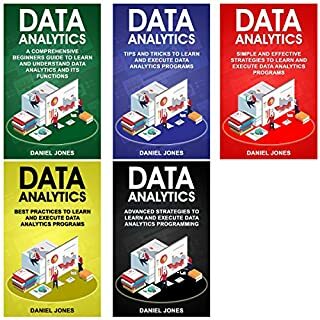 If you are interested in taking full control of Excel and unlocking its full potential, then Excel: 5 Books in 1- Bible of 5 Manuscripts in 1-Beginner's Guide+ Tips and Tricks+ Simple and Effective strategies+ Best Practices to learn Excel programming Efficiently is the book you have been waiting for. Linux: 5 Books in 1- Bible of 5 Manuscripts in 1- Beginner's Guide+ Tips and Tricks+ Effective Strategies+ Best Practices to Learn Linux Programming Efficiently+ Advanced Strategies. If you want to learn Linux programming, there’s no better audiobook on the market for you. 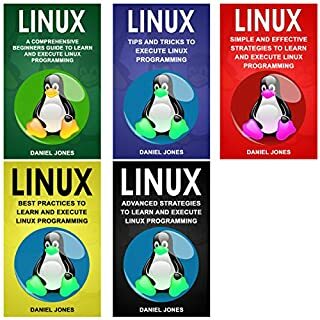 This powerful bundle of four audiobooks is going to assume you know absolutely nothing about Linux, then teach you everything from A-Z, some of the most significant topics that will be covered in this audiobook include: the most common and useful Linux command line tools, how to write bash scripts and automate your command line workflow, and much more. 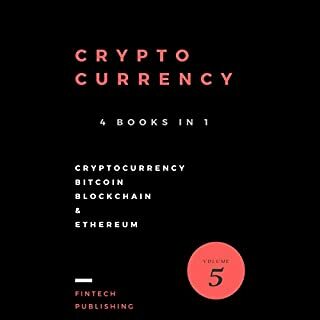 This four-in-one bundle of FinTech Publishing's mind-blowing cryptocurrency series is all you need to learn all you need to get started on a lucrative path to earning big bucks trading cryptocurrency. I would say this book is ideal for anyone who knows some Machine Learning basics and has experience with Cryptocurrency, but it's also a great book for beginners who want to learn about practical ML problems. Learn how to hack quickly and effectively. 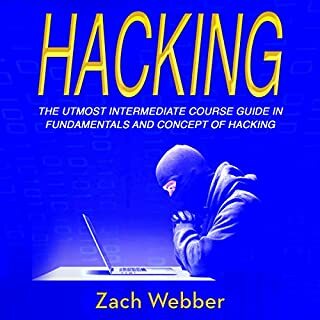 This book has all of the information you need to get a firm understanding of how hacking works, how to manipulate networks, and how to get into whatever computer you want to. Arduino programming is hard. There’s a ton of information to learn and a whole lot to take in in order to get the most out of your Arduino programming suite. That’s why you could use a resource like this one. 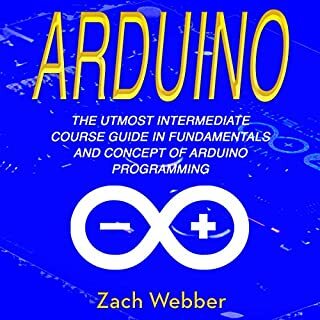 This is the best audiobook on the market for learning Arduino programming, bar none. Throughout this audiobook, we’re going to be reviewing a few basic concepts in more depth, covering tricky new concepts like managing memory, as well as jumping headfirst into the Arduino API and breaking down a lot of key functions that will help you to do a whole lot of super cool things. Its very rare that we heard ther have any audible book for learning Arduino machine learning. Its an new era for programming world. Appreciating content. 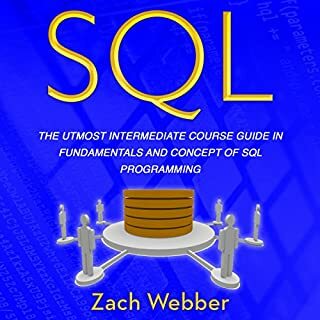 This audiobook is going to help you learn and work with intermediate-level concepts building on top of the things covered in the beginner audiobook of this series. We’re going to spend time cracking open the secrets of higher-level programming as we start working with more complex ideas. 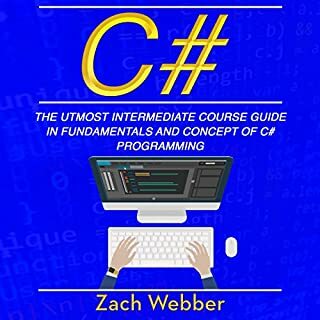 I have found out a lot about C#, Volume2 The Utmost Intermediate Course Guide in Fundamentals and Concept of C# Programming learning with the help of this book. This guide is very instructive. There are lots of tips and tricks that are very helpful. Great book! Do you wish you had guaranteed job security? Do you want to earn more and work less? Do you work with people who seem to have easy lives, and yet the kind of life with endless struggles continues to follow you? Mastering database administration will earn you more money and allow you to travel the world attending tech conferences, rubbing elbows with powerful people from the top technology companies around the world.